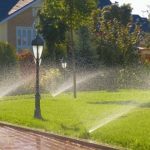 Overall Ottawa, is an irrigation and sprinkler repair expert providing existing irrigation system renovations and repairs for residential and commercial clients throughout Ottawa city and the surrounding area. As an owner operated business, we offers over 18 years of experience in the sprinkler system installation and repair industry. 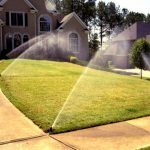 To ensure your lawn is the healthiest and greenest, your irrigation system needs to be operating at an optimal level with the correct coverage and water usage. We have many options for you to choose from when it comes to pump choices or sprinkler types. We are dedicated to providing you with only the best care and that means making sure that you have what you need and you aren’t given the run-around. Don’t rely on the rain to keep your lawn healthy. Don’t wait no more and take advantage of our free irrigation system evaluation.